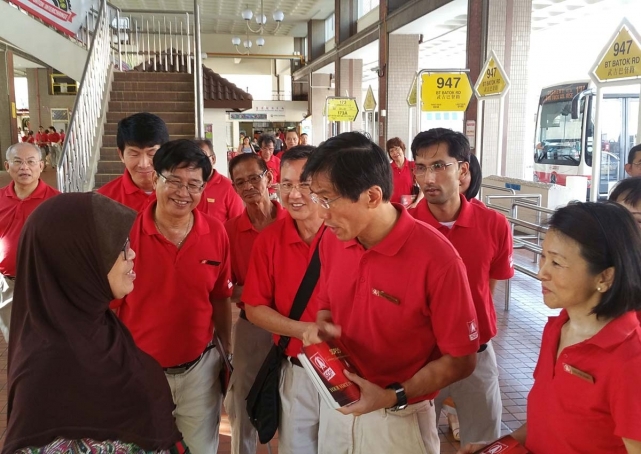 The Workers' Party (WP) is standing firm on contesting Marine Parade GRC and MacPherson SMC after a "concrete proposal" to avoid a three-cornered fight with the National Solidarity Party (NSP) in the two constituencies was rejected, WP chairman Sylvia Lim said. 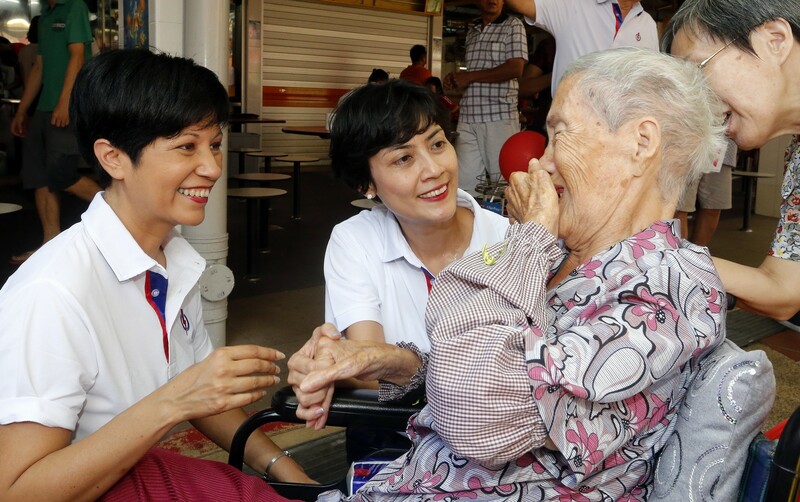 Ms Lim confirmed a Straits Times report that the WP offered to not stand in MacPherson at the next general election in exchange for the NSP not contesting in Marine Parade, and said the proposal was conveyed to the NSP before the first round of talks between opposition parties on Monday. 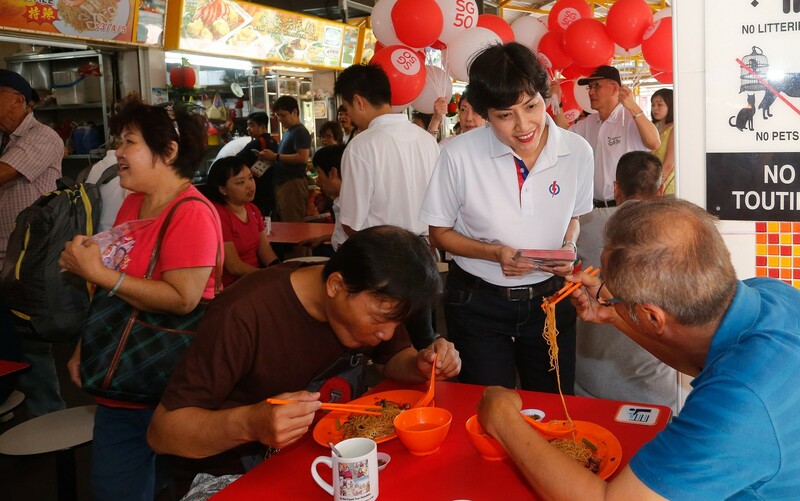 But the NSP rebuffed the offer on Monday, she said yesterday at a walkabout in a market in MacPherson ward, which has been carved out of Marine Parade GRC. 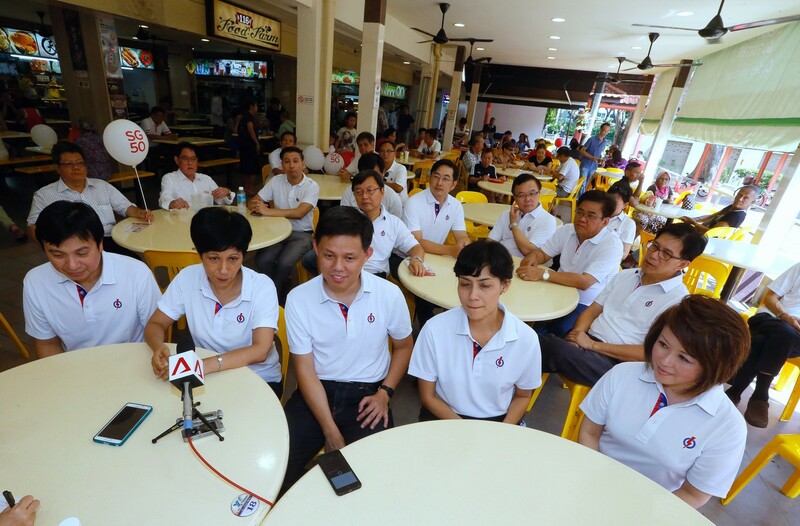 "We felt on assessment that it would not be productive to attend the subsequent meeting that was held on Thursday," she said. 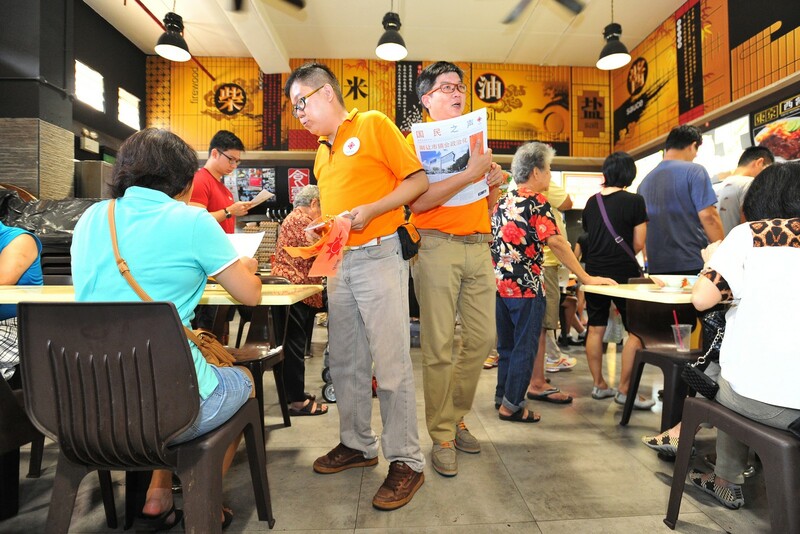 The WP will not wait for a further response from the NSP: "Time is of the essence to us so we will have to go ahead with working (the ground) in both areas." 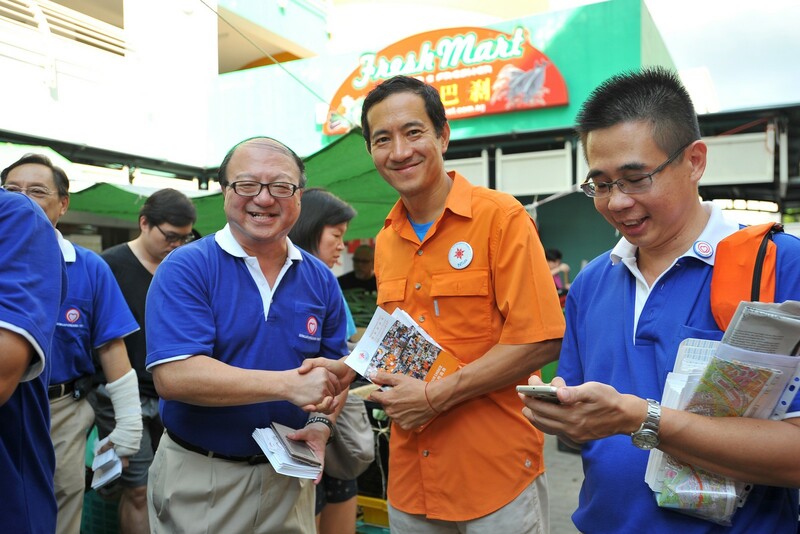 NSP president Sebastian Teo could not be reached for comment, but said previously that his party aimed to discuss the matter with the WP. 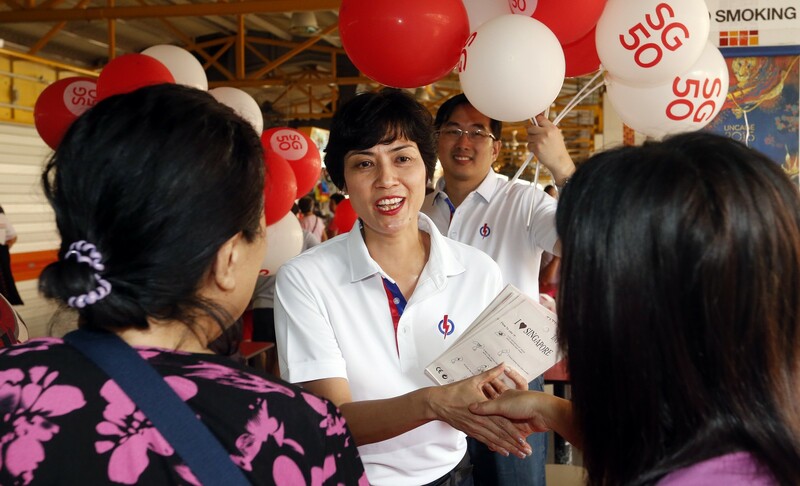 Ms Lim thanked the Democratic Progressive Party "for making way for WP" to contest in Fengshan SMC against the People's Action Party (PAP). 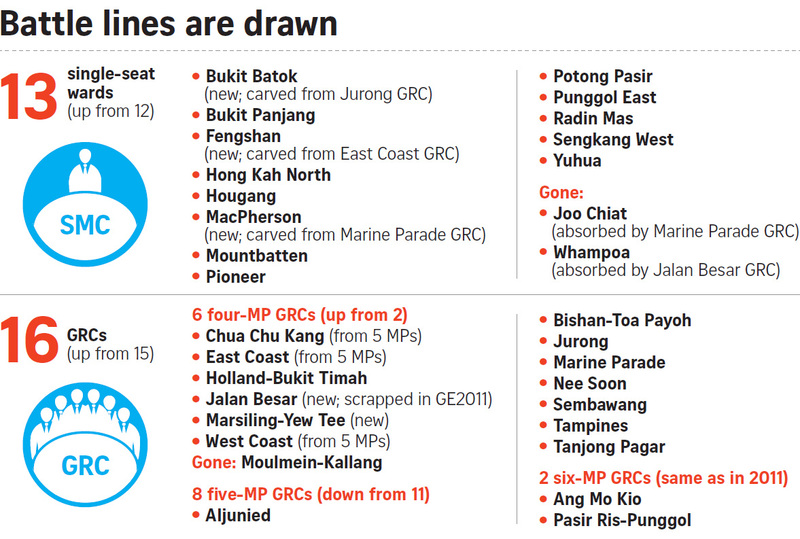 A second round of talks among opposition parties on Thursday on three-cornered fights ended with 26 out of 29 constituencies headed for straight fights between one of them and the PAP. 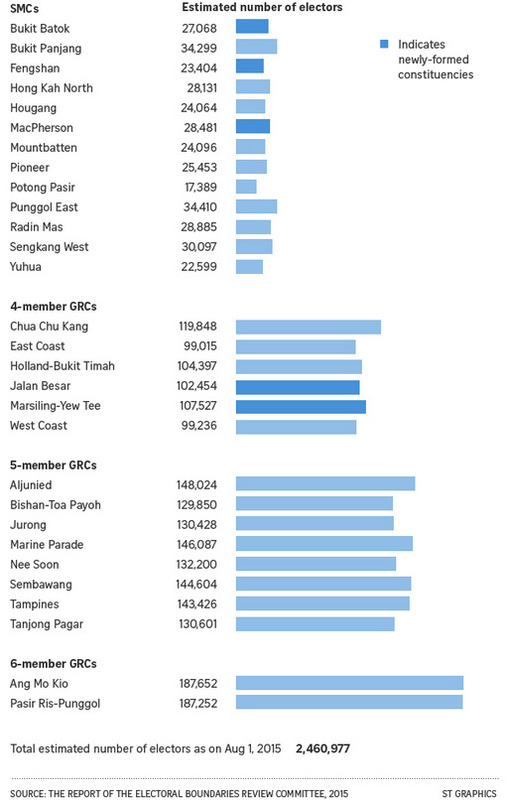 But it remains to be seen whether the three others - Marine Parade GRC, MacPherson SMC and Ang Mo Kio GRC - will have three-cornered contests come Nomination Day. 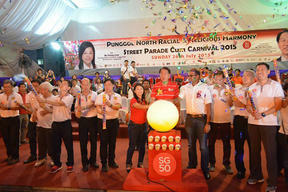 Opposition parties have tried to avoid such contests as these split the anti- PAP vote, reducing their chances of winning. 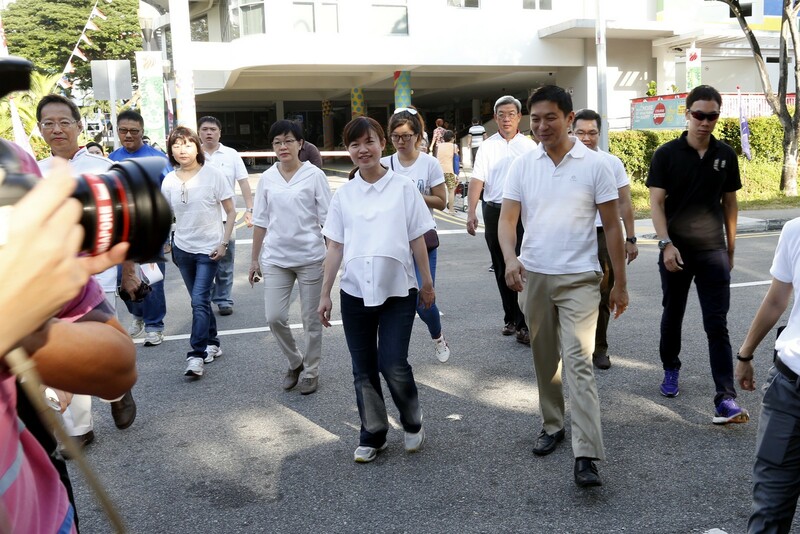 Among the WP members and volunteers at yesterday's walkabout were Non-Constituency MP Yee Jenn Jong, who is expected to lead the WP's Marine Parade GRC team, and lawyer Terence Tan, 43, who has been on house visits with Mr Yee. 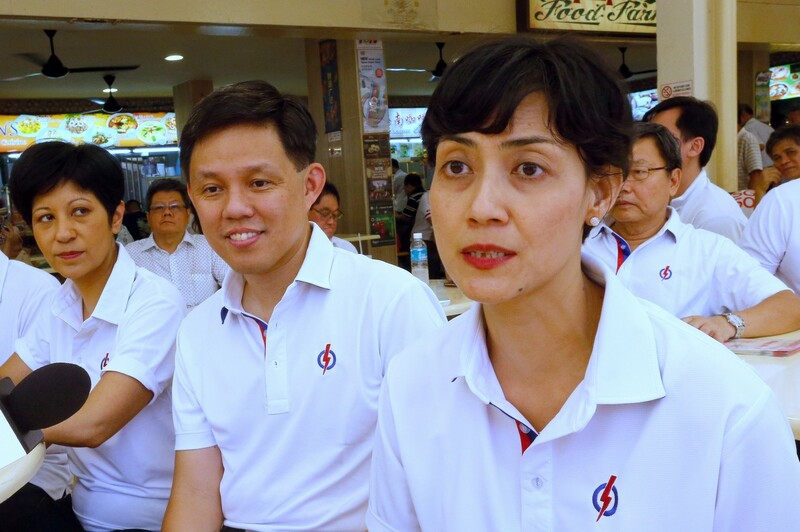 Medical social worker Frieda Chan, 39, who gave birth to a boy six months ago, was also present. 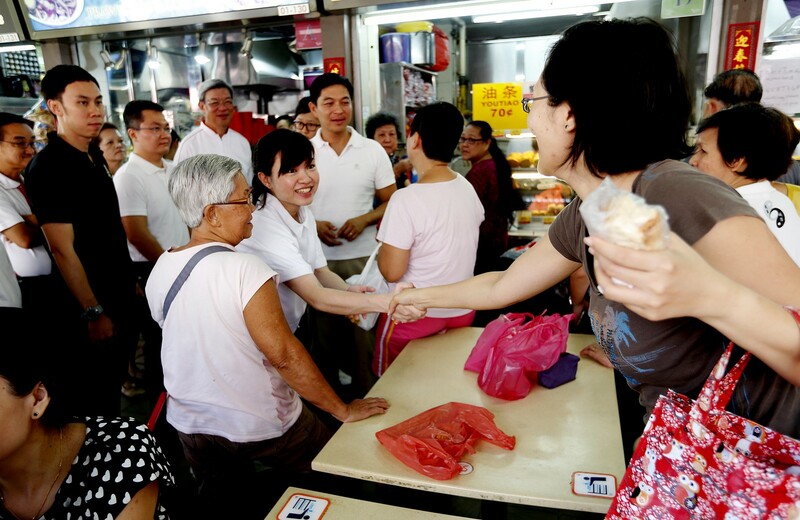 She was in the 2011 WP team that contested Moulmein-Kallang GRC. 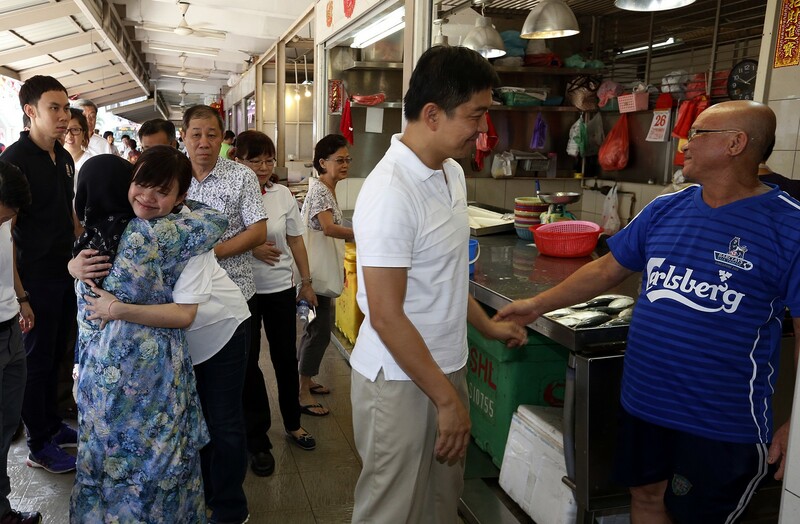 Several new faces were also spotted: holding company chief executive Luke Koh, 40; wealth manager Dylan Ng, 40; corporate lawyer He Ting Ru, 32; and sales consultant Cheryl Denise Loh, 32. 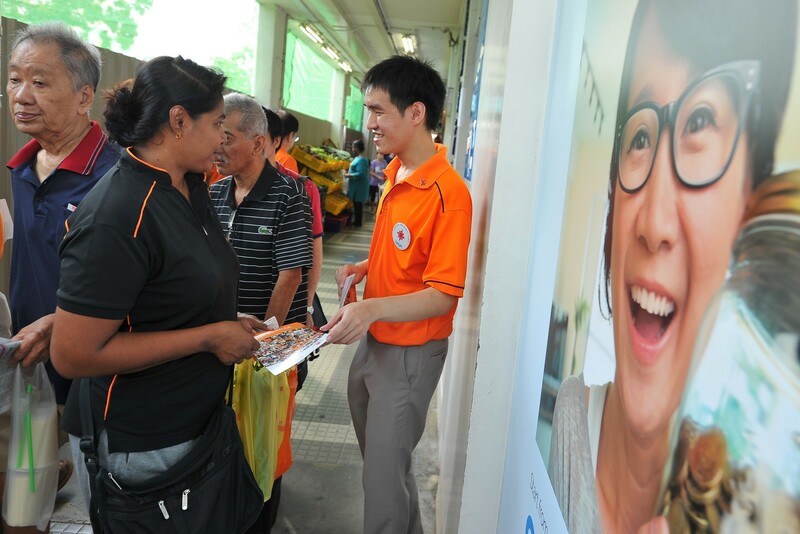 PAP activists on their regular walkabout were also at the same market to give out Singapore flags ahead of National Day, and ran into the WP team. 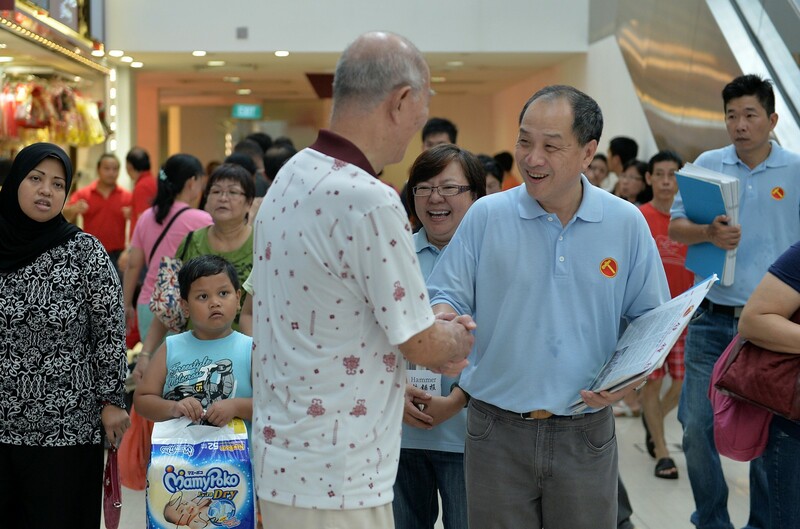 Both sides exchanged greetings and posed for photos. 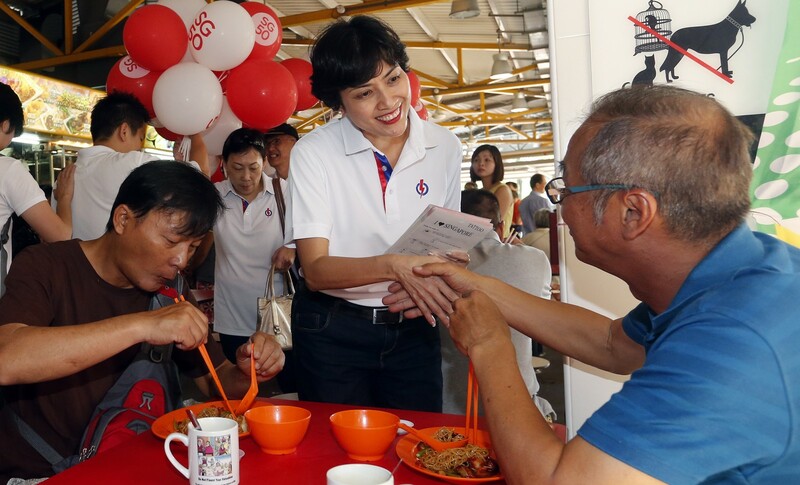 PAP MacPherson branch secretary Rosemary Lim said they were carrying on with the work while MP Tin Pei Ling, who gave birth on Wednesday, is on maternity leave. 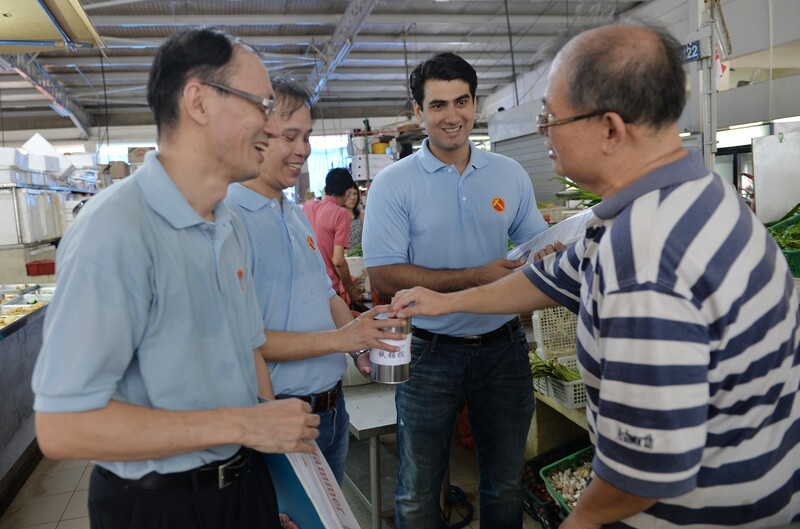 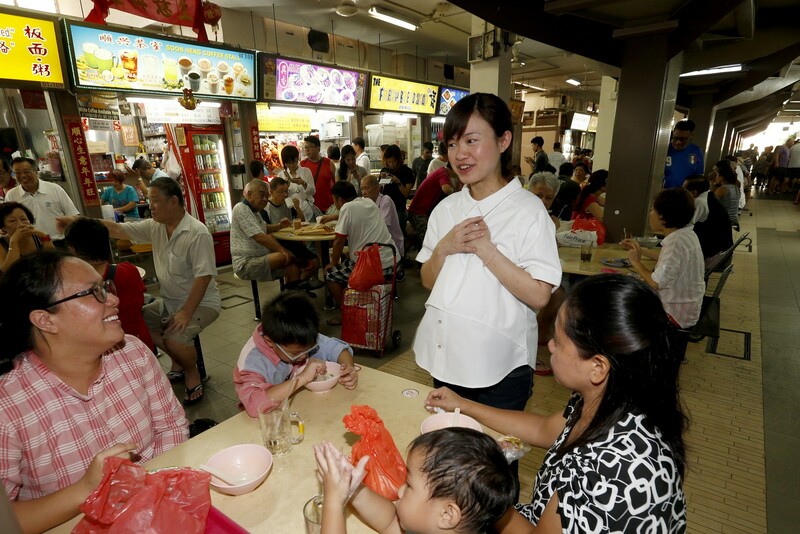 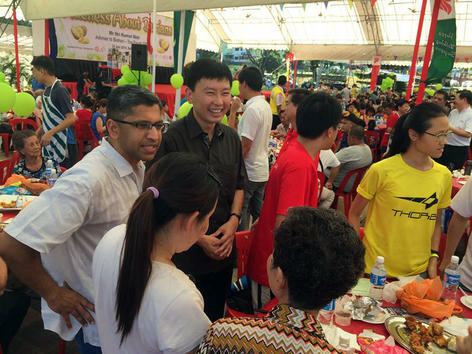 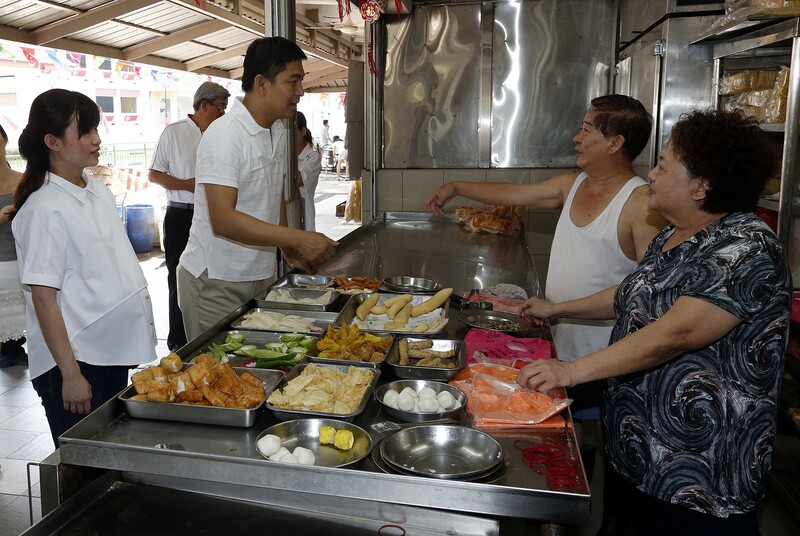 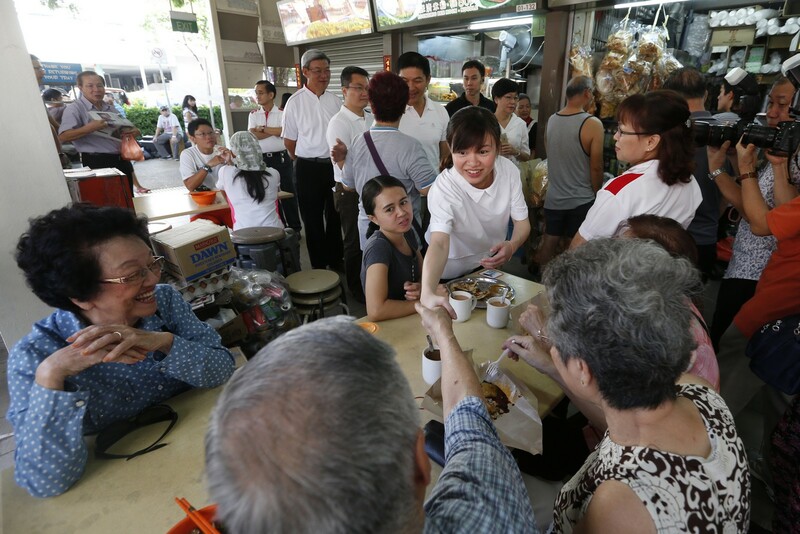 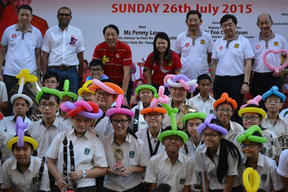 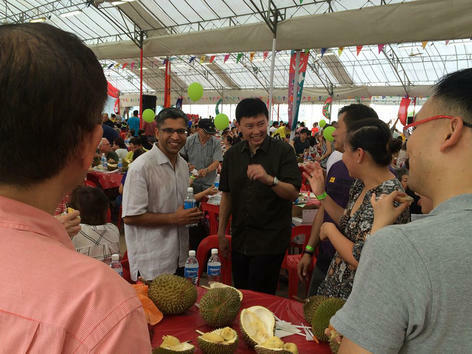 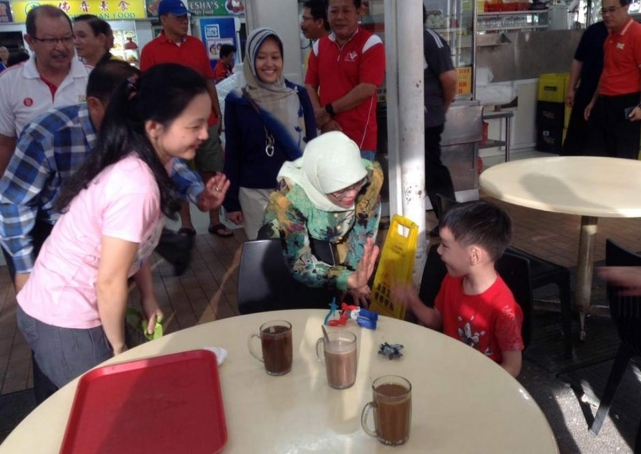 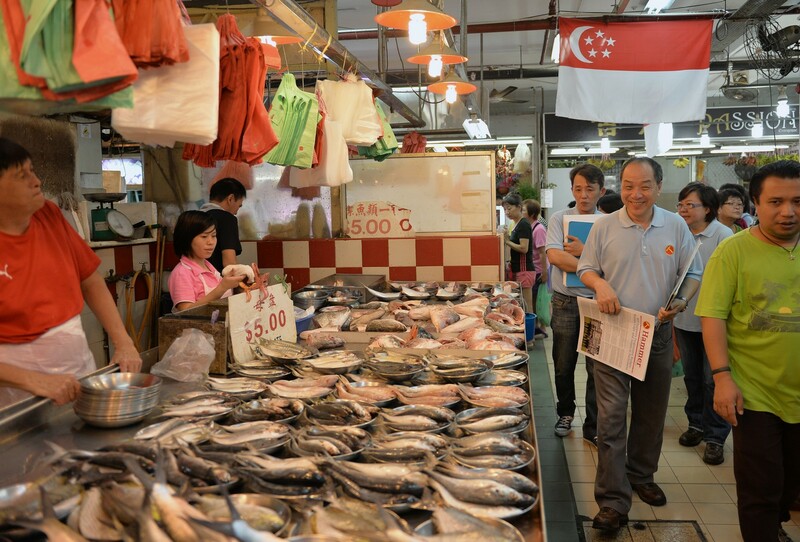 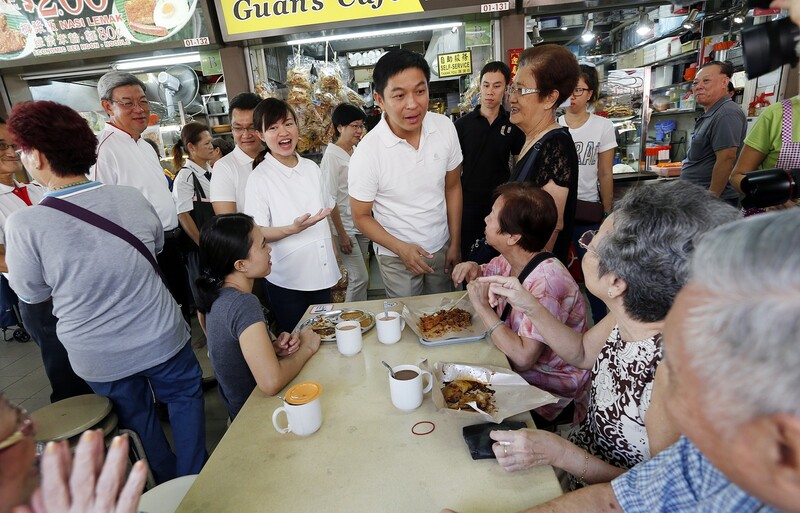 The WP also visited Geylang Serai Market in Marine Parade GRC. 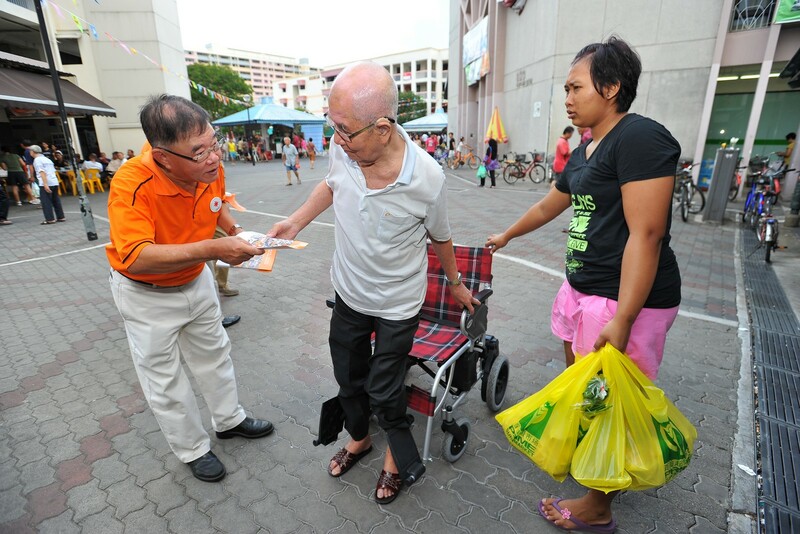 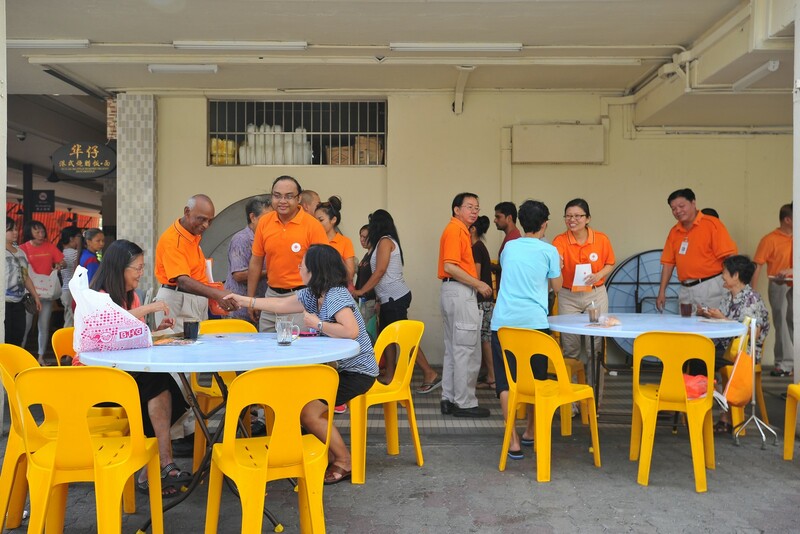 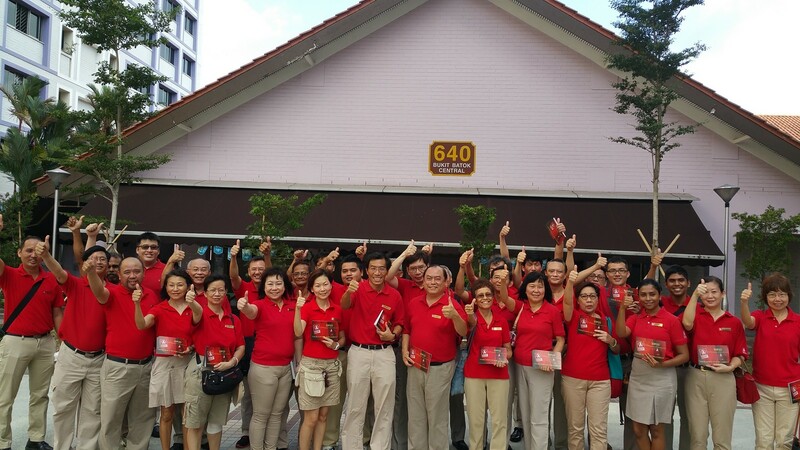 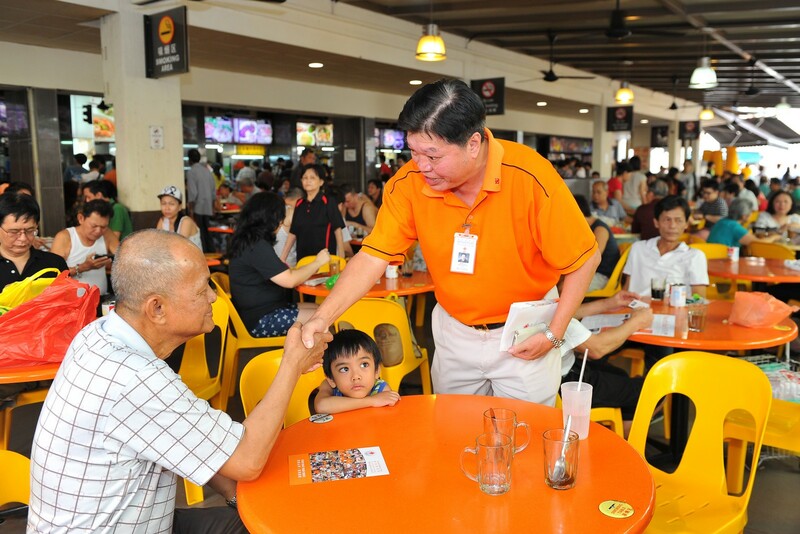 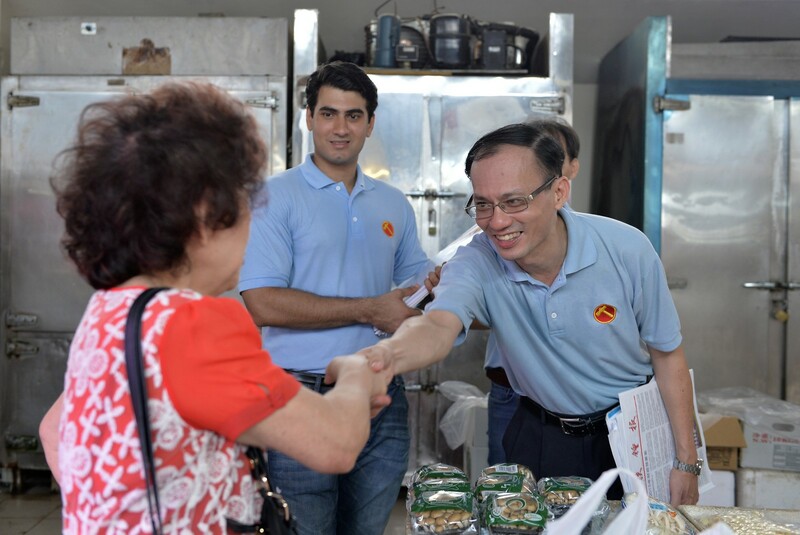 Other opposition parties also had walkabouts in areas where they aim to contest: The Singapore Democratic Party (SDP) was in Holland- Bukit Timah GRC, the Singaporeans First (SingFirst) party in Tanjong Pagar GRC, and the Reform Party (RP) in Ang Mo Kio GRC. 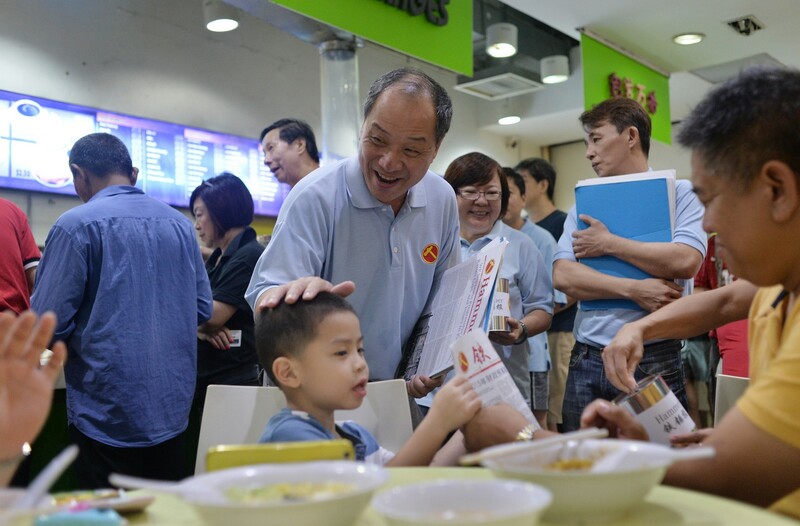 SDP chief Chee Soon Juan said the party would launch its revamped website and party song next week, while SingFirst chief Tan Jee Say said his party would release its line-up only on Nomination Day. 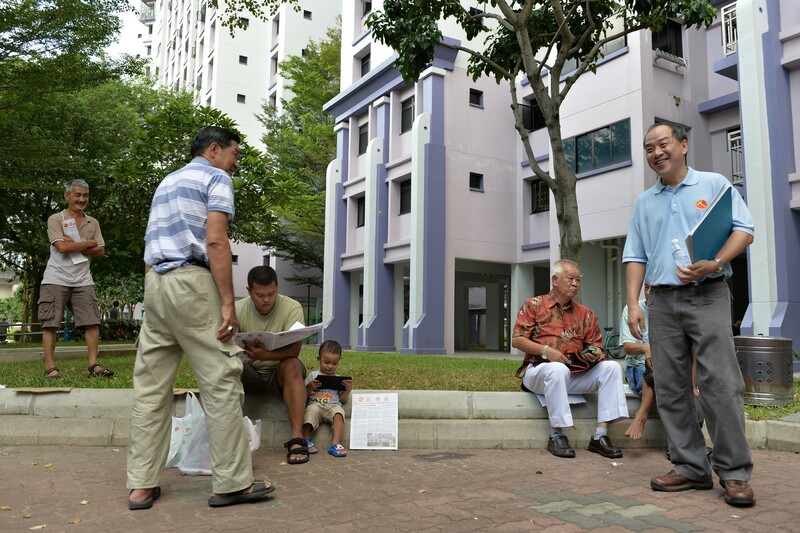 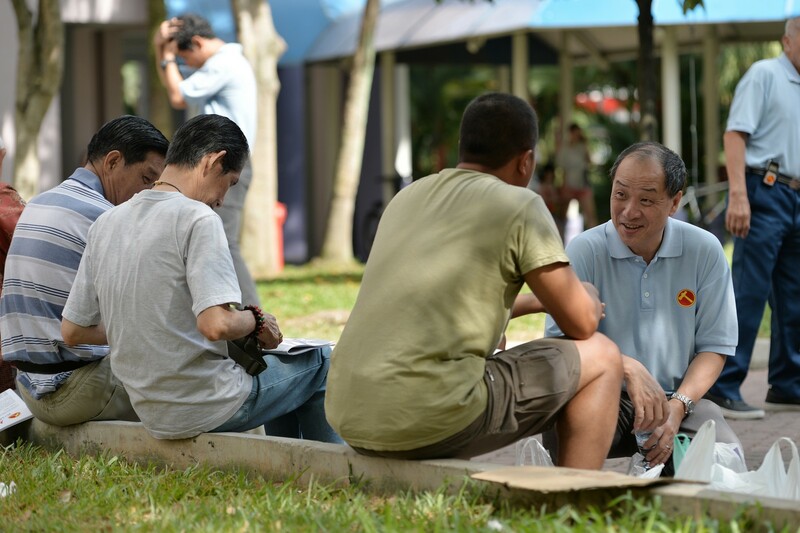 RP chief Kenneth Jeyaretnam was visiting blocks in Ang Mo Kio with a team that included blogger Roy Ngerng. 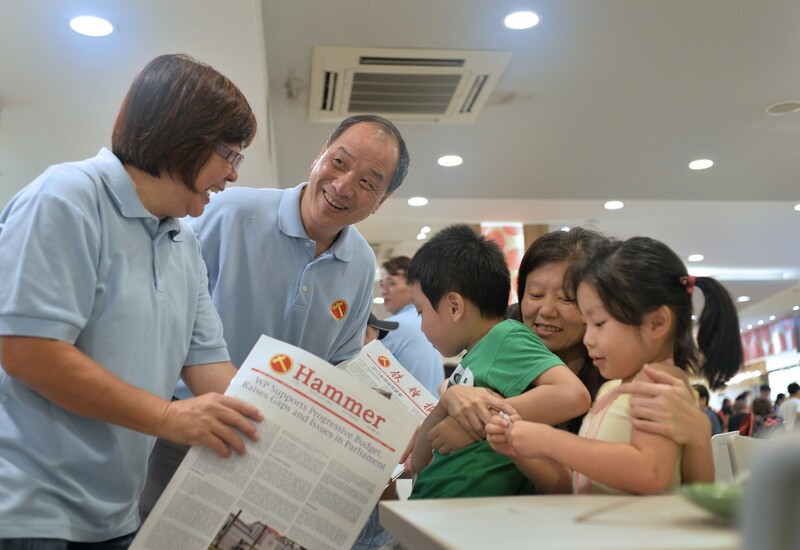 Accompanying them was blogger and activist Han Hui Hui, who is not a party member.